On Wednesday August 31, Mexico’s central bank (Banxico) lowered its growth outlook due to economic weakness in the United States, and the bank’s governor warned that more protectionism could hurt an anemic global economy as U.S. Republican presidential candidate Donald Trump made a visit to Mexico. In its quarterly inflation report, the central bank lowered its 2016 economic growth forecast to between 1.7 and 2.5 percent compared with a previous estimate of 2.0 to 3.0 percent. 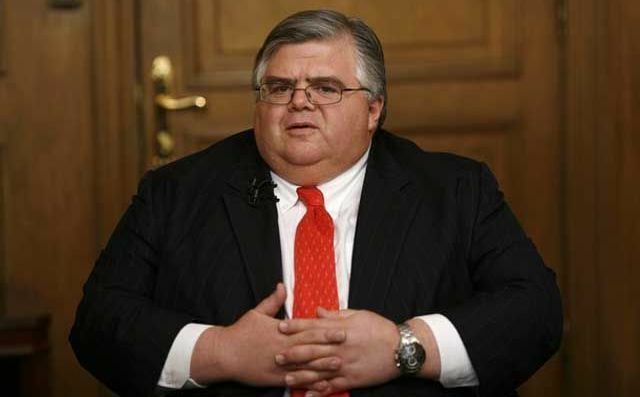 The central bank’s governor, Agustin Carstens, said at a news conference in Mexico City that the bank lowered its forecast after weaker-than-expected growth in the second quarter in Mexico, Latin America’s No. 2 economy, and a sluggish U.S. economic expansion. Mexico sends nearly 80 percent of its exports to its northern neighbor. Policymakers also said they now saw 2017 economic growth of between 2.0 and 3.0 percent versus a previous 2.3 to 3.3 percent. Carstens said inflation would rise gradually this year to end 2016 close to the central bank’s 3 percent target. He said there was still no sign of widespread pressures on consumer prices from a deep slump in the peso. Carstens refrained from directly answering questions related to the surprise visit of Trump to Mexico on Wednesday August 31, but he did take an indirect swipe at Trump’s threat to curtail trade with Mexico. “There has been a tendency toward protectionism in many G20 countries. Due to slack in the world economy, it would be very unfortunate that this trend toward protectionism continues,” Carstens said.